On 28 January 2012, Dominik Klein, German national team player was sanctioned with two match suspension by the EHF Disciplinary Commission during the Men’s EHF EURO 2012 for a serious unsportsmanlike act during the EHF EURO match between Poland and Germany, which took place in Belgrade, Serbia on 25 January 2012. The decision of the EHF Disciplinary Commission was confirmed yesterday by the EHF legal body deciding in the second instance, following an appeal by the German Handball Federation (DHB), and according to the regulations of the EHF European Championships. Dominik Klein will not be permitted to play with his national team during the next two official matches of Germany. The sanction is based on article B.1 of the EHF List of Penalties. The player is therefore not eligible to participate in the Men's World Championship Qualification Play-Off Europe matches Germany vs. Bosnia Herzegovina and Bosnia Herzegovina vs. Germany, which will take place in June 2012. In line with the EHF Legal Regulations, a statement of claim may be filed by any of the parties to the EHF Court of Arbitration (ECA) within 21 days. 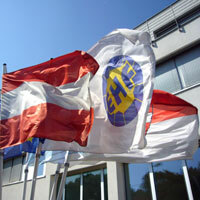 ECA is an independent court of arbitration solving disputes between handball related persons and entities once all EHF internal remedies have been exhausted. The disputes brought to the ECA are settled by an arbitral chamber composed of three arbitrators, part of the ECA list of arbitrators, following a specific procedure defined in the Rules of Arbitration for ECA.